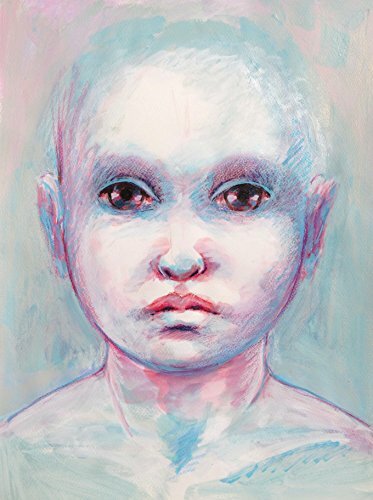 "Baby"girl" an imaginary portrait of a child, made with mixed media on watercolor paper 200g, 36X48 cm. I've used watermedia : watersoluble pencil, wax pencil and acrylic. This portrait is made in a style with lines and drawing, nearly illustration. This is an imaginary portrait of a child. I was thinking about a character of fantasy, or fairy tale. The hero of an imaginary story. I really like to invent portraits of people, looking for emotions, or attitudes. The drawing is in blue and pink tones, in soft colors.